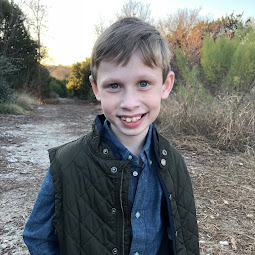 Bennett Brinson Gamel: Fighting Cystic Fibrosis: Laughter in the face of "Limits"
I vividly remember feeling quite inspired from this man's ability to overcome a devastating disability, no limbs. I remember the video definitely made an impact on me, even after just a 4 minute video. So, when I had a chance to read Nick Vujicic's book called, Life without Limits* through the Blogging for Books program I participate in, I was super excited. I am quite hungry to learn ways to best raise Bennett into a confident young man who does not dwell on his challenges but faces them with strength and faith. Vujicic, through his book, strives to inspire those who are feeling down or overwhelmed by way of any number of situations. I appreciated Vujicic's efforts to encourage the reader but I was most interested in hearing how Vujicic succeeds in a world that does not seem able to accomodate him. While reading the book, I found myself longing for answers to questions like, "what happened when this young man was a baby that he grew no arms and legs?" "how does he function? is he independent at all?" 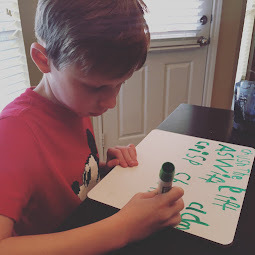 "what did his parents feel and how did they deal with his challenges?" "how does someone like this have such a great perspective in life when they are faced with so many difficulties time and time again?" This book answered most of my questions. But my favorite parts of Vujicic's book were the ones that had me laughing...Vujicic's insights into how not seriously he takes his disability and, for that matter, life in general. "Look at that kid in the wheelchair! He's an alien," my cousins would scream across the shopping mall, pointing to me. 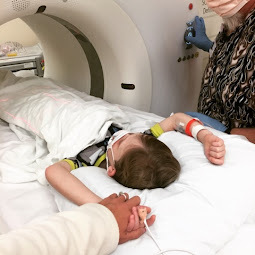 We all laughed hysterically at that reactions from strangers who had no idea that the kids picking on the disabled boy were really his strongest allies." "I can't tell you how many times I've asked a rookie caregiver to give me a drink of water and he'll try to hand me a glass. There is always this moment of pause with his hand extended, holding the glass in the air and waiting for me to take it. Then there follows a sudden rush of blood from the face of the caregiver as he realizes, Oh my God! I just tried to hand a glass of water to a guy with no arms! What was I thinking!" During airplane pre-boarding, Vujicic asks his caregiver, "Vaughan, quick, before anyone else comes aboard - lift me up and see if I fit in the overhead baggage compartment!" Having no trouble, Vaughan "hoisted me up and gently placed me on my side...tucked a pillow under my head and snapped the door shut, leaving me perched above the seats. An older gentleman came down the aisle and reached up to put his bag in my compartment. He opened the door - and nearly jumped through the roof of the airplane. I popped my head out. 'Sir, I don't believe you even knocked!' Luckily, he was a good-natured bloke, and we all had a nice belly laugh." If I walked away with anything from my reading Vujicic's book, it is to not take Bennett's challenges too seriously. Everything can be faced and eventually overcome. After reading his blog entry for the day titled "Only 6 Years Left? ", I ran across his name on Facebook and remebered it was his 31st birthday. As I wrote him a quick "Happy Birthday" message under his profile, I added, "Make those last 6 really count!" I was reminded almost instantly that Ronnie also has this type of humor-in-the-face-of-adversity attitude I want Bennett to have when Ronnie messaged me back on Facebook, "I just have to tell you, I laughed out loud to your commont on my FB wall today. That was awesome!!!" Brian was, at first, mortified when he heard what I originally wrote to Ronnie. But I reassured him that neither Ronnie nor I had taken the comment seriously. 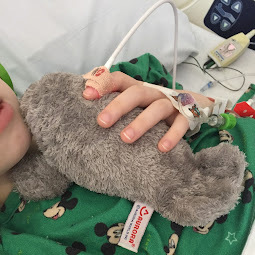 CF is a serious disease with serious consequences. But that doesn't mean that we have to take our battles with it seriously all the time. I actually blogged about this topic a while back as I have another friend who has taught me to laugh in the midst of challenges (http://bennettgamel.blogspot.com/2010/06/breck-thoughts-humor-in-face-of.html) but it's a topic I like revisiting. I need to continue to remember humor can be healing to the soul. I am glad that the book Life Without Limits was able to teach me this again. * Here's my review of the book Life Without Limits: I recommend this book. 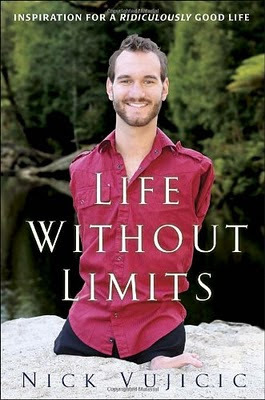 It is an inspiring book about Nick Vujicic's story. I appreciated Vujicic's stories, humor and uplifting comments. My only disappointment was that the book did not tell more of Vujicic's story but, instead, was watered down with merely encouraging thoughts. I think the book would have been better to have been an autobiography and allowed encouragement to the reader be implied. Nonetheless, it was a good book I would recommend, especially to those who face daily challenges. A complimentary copy of this book was given by Waterbrook Press for an honest review.